With the host of new upgrades in terms of looks and features, Dodge finally unveiled the curtains off its Dodge Charger 2015. Bringing two engine options for its buyers almost everything has been changed in this model. 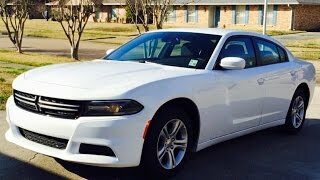 Let us have a look at the review of Dodge Charger 2015 to know about these changes in detail. The interior of Dodge Charger 2015 gets series of upgrades for each and every part of it. Let that be then dashboard layout or door panels, they all are adorned with something new for the model year 2015. However over the dashboard you’ll find a new three-spoke steering wheel with multi functions mounted over it. These functions provide the driver complete access over the 7-inch TFT screen, which is a part of the gauge cluster. There one more thing which is totally new for this year model and that the handle gear selector and we must mention that this one is bit more gorgeous than the previous one. Now at last we’ll be talking about the most interesting amalgamation, this links with the 5.0 or 8.4 inch infotainment system which now comes with the latest version of Chrysler’s Uconnect software offering voice control, Bluetooth, 3D navigation and WiFi hotspot connectivity. 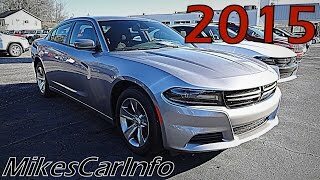 Rounding up the interior of Dodge Charger 2015 we would say, it’s indeed a step ahead of its predecessor. 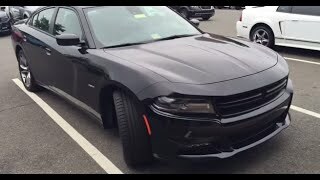 Just like its interior, exterior of Dodge Charger 2015 also received many upgrades. Starting with the front fascia of Dodge Charger, you’ll notice a smaller grille opening sitting amidst the headlights. Beneath this squinty eyed setup you have LED fog lamps and daytime running lights that add a bit of aggression to this model. Moving further towards the rear end of the model the first thing you might notice is the re-knocking large LED taillights assembly. The entire setup which to us resembled more like the Dodge Dart rolls over new 20-inch wheels. 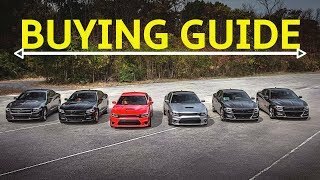 Rounding up the exterior details of Dodge Charger 2015 we would just say that the upgrades are good but could have been better if it didn’t resemble to the Dart sibling. 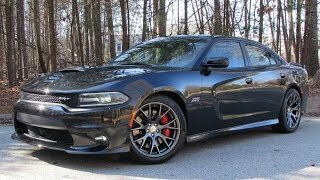 As we mentioned earlier, beneath the hood of Dodge Charger 2015 lays two drivetrain options; first one is a 5.7 Liter HEMI V8 VCT engine generating total output of 370 hp and peak torque of 536 nm while second is a 3.6 liter V6 engine cranking total output of 292 hp and peak torque of 353 nm. Both these engines come paired to eight-speed automatic transmission and are available in both RWD and AWD options.